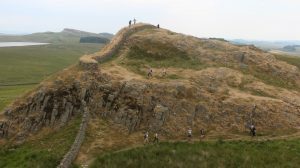 Yesterday, the team went for a stroll along Hadrian’s wall to put into perspective some of the archaeology we have been finding. We passed several wonderfully-preserved mile castles as we went, stopping at one of them to learn a bit more about how the wall was defended and managed. Guest lecturer Andrew Gardner stopped at various points to discuss what the exact purpose of the wall was; was it a strictly defensive border, or was it more permeable to allow for travel and trade between Britannia and Caledonia? 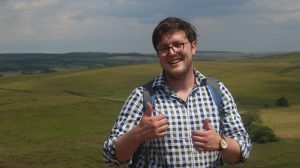 Andrew is a roman archaeologist who has recently been asking questions about identity within the late roman period. Have a cheeky purchase of his book, An Archaeology of Identity, if you would like to learn more! We’re sure he’d appreciate a little extra pint money. The route took us through the scenic Northumbrian countryside. The treacherous terrain must have been very impractical to build on, which shows not only the power of the roman empire, but the tenacity of their soldiers. 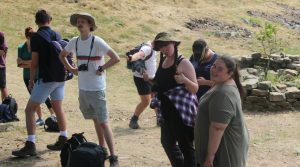 We also learnt about the inconsistencies in different parts of the wall; where some commanders chose to put mile castles at exact intervals regardless of the landscape, some adapted and put them in a more sensible place. 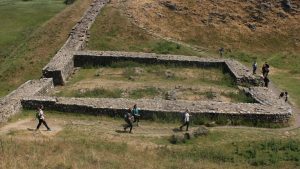 The walk ended at the roman fort at Housesteads, where we drew comparisons between their guardhouse and the one we’re excavating at Ribchester. There, we sang happy birthday to enthused supervisor Joe Howarth, who turned 22 that day. Another year older and not a penny richer, Joe! It was interesting to consider the fort not just as a military installation, but as a place that people lived for long periods of time. We discussed different interpretations of the family lives of soldiers, whether families would have spent much time together within the fort, and whether this would have changed much over the centuries. 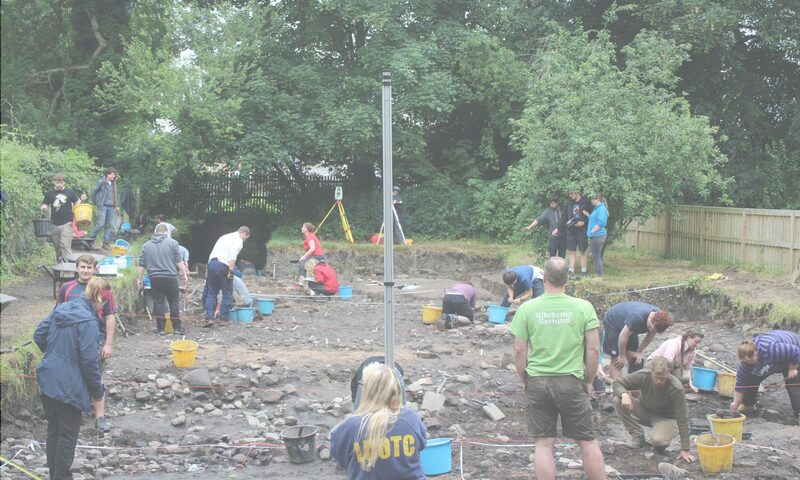 Overall, the day was a lovely learning experience and a chance to take a breather from the hard work and the heat, while still immersing ourselves in the archaeology of the area. Previous PostPrevious It’s Coming Home! Halfway through the 2018 season!